Stone Row. Merrivale, Dartmoor, Devon, England. Celtic Britain published by Orion. 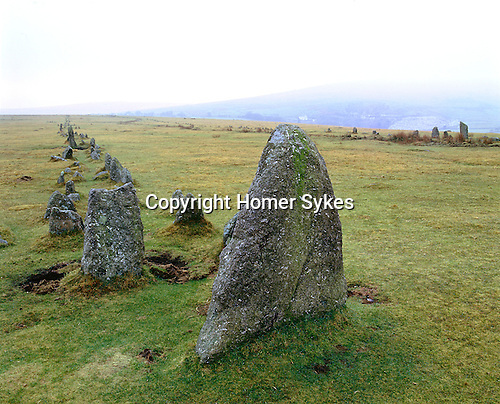 This Stone Row is on Long Ash Hill near Merrivale and is unique on Dartmoor as it comprises of two nearly parallel double rows of stones thirty yards apart.